Hey, It's saying I can't install the game due to out of date AIR. You should upload a .zip of the unpackaged AIR game. 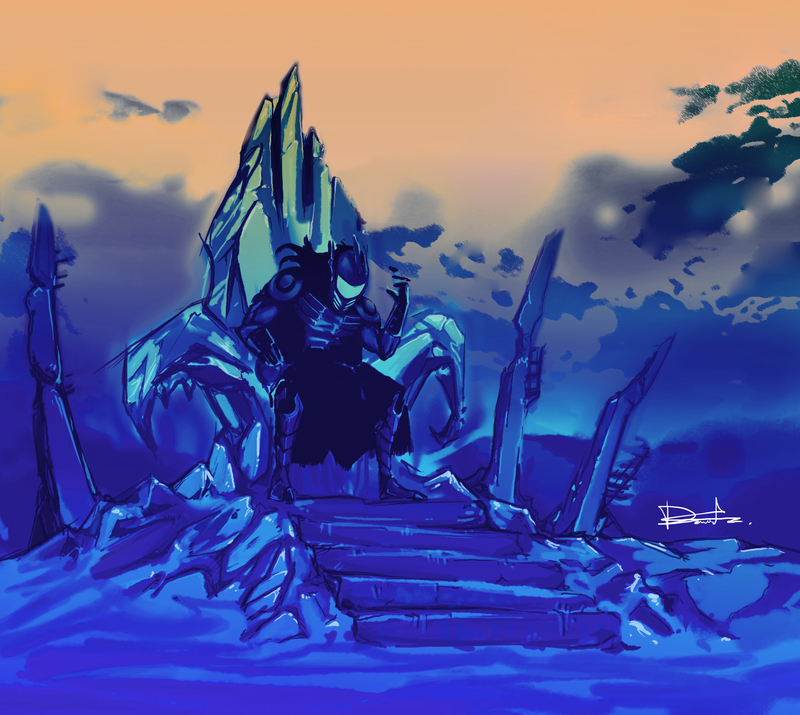 itch.io Community » Game Development » Devlogs · Created a new topic I just added the Ice King! Been working and live streaming on Twitch all night. After many coffee's I'm super excited to have finally implemented a new playable hero into Armed with Wings, King Vandheer! Vandheer is actually the final boss in the game and will become playable once you defeat him. His move-set is designed to be intimidating, powerful and boss-life. itch.io Community » General » General Discussion · Replied to reiniat in Pitch your game: "One line to lure them all"! Armed with Wings Rearmed, It's Samurai Limbo on Steroids! Probably the coolest indie game I've ever seen. Voting yes, waiting for release HURRY! We just dumping GIFs here? This is the 2nd playable character that I'm currently implementing. His name is Vandheer, he's the games final boss. God his basic movements down - now doing attacks! itch.io Community » General » General Discussion · Posted in Anyone use Discord? I hate Skype. God I hate everything about it. Wish it was like MSN Messanger like back in the day. I'll be looking into DiscordApp. It's quite stressful to work on a single game for extended periods of time. I'm able to do it because my game is in Early Access and I have no choice but to update every 2-3 weeks otherwise it will affect the interest in my games and thus sales. Looks really awesome! How long have you been working on this? It was amazing :) I believe there will be another 5 PAX Aus's in Melbourne. Many of the devs I met during PAX had to fly over from Perth, Queensland, NSW - I'm super lucky to live in Melbourne, it took only 2 van trips to get my stuff there. This is my first DevBlog post here on Itch.io, how very exciting! My name is Daniel Sun, I'm the developer of Armed with Wings Rearmed, an Early Access 2D Platformer on Itch and Steam. Rearmed launched into Early Access in May 2015 and (hopefully) will launch early next year! Armed with Wings Rearmed was picked for the PAX Aus Indie Showcase! The Australian Indie Showcase is similar to the PAX 10, but consisting of 6 selected games that are selected to exhibit at PAX Aus in Melbourne. The weekend has come and gone, and it was a COMPLETE SUCCESS and an absolute blast! I'd like to share my experience with you. The Melbourne Exhibition Center was packed during the weekend and the Armed with Wings booth was VERY popular. Never a dull moment as myself, Steve, Shaun and Alex were completely swamped in a sea of gamers, cosplayers, journalists and press members! We even had people from Microsoft, Sony, Autodesk and IGN swing by. Interviewers were queuing up, after I finished with one, the next was waiting. I was also completely taken by surprise by the sheer amount of people who had played the older Armed with Wings games previously. I met a young man who had played AwW when he was 10 years old on Newgrounds, now as an adult 2015 he's studying games design! We run a competition during the Saturday and Sunday, top 5 survival scores win a Steam key. We even gave away a $30 JB discount card on the Saturday. This turned out to be super successful in bringing players back every couple of hours, and a great way to build relationships with these players - Never doubt the spirit of competition during a trade show! There was a specific gear load-out locked down for PAX - The weapon used was the 'Abbott' and the equip gear was 'Extended Combo' and 'Speed Charge'. On Sunday, the highest score was 5000+ on wave 9. I struggled to reach that myself! I know a few developers who have had experience bringing their games to trade shows like PAX, they told me that media coverage would be quite limited and that the best thing about being at PAX is seeing how a large volume of players respond to your game. Rearmed has gotten some media from a number of game journalism website - mostly Australian. Most of these interviews were done via email before the show. The video interviews were done face to face on the show floor. Face to face interviews are very intimidating! Verbal communication isn't my greatest strength, but I feel like I've done a good job describing my game to people. Geeksnack and I discuss the origins of Rearmed. Interview with ImpulseGamer about my experiences and developing Rearmed. Tech Geek goes hands on with the Rearmed demo at PAX and gives thoughts and impressions. Amazing interview with these guys. I'm so impressed with the final cut - pacing is lovely, nice footage! Luke from IGN AU came by the booth with a sweat camera rig on Friday. An amazing moment to be recognized by IGN. PAX Aus 2015 was a blast and a complete success. We gave out all of our business cards and sold a whole bunch of Rearmed steams too! I'll be keeping my eyes open for any gaming event in the future - after having a taste of PAX, I want more! Big thanks to the PAX Aus team for organizing such an amazing event. I gotta get onto Rocket League - looks like fun :) I've got MGS5 whitch I'm 3% into - I'll finish it when I'm less busy. Otherwise I'm currently playing Tomb Raider 2013 - pretty decent game, kinda like Uncharted. I 2nd this. Monodevelop is rather terrible. Try the OpenFL forums too, Joshua Granick responds to most threads - he knows much about OpenFL :) Hopefully a thing or two about HaxePunk as well. itch.io Community » Creativity & Art » 2D Art · Posted in Help Needed! Itch.io is a store front for players to purchase games, I think the forums should be a place for these players to engage each other as well as us developers. So perhaps there could be a forums like 'Games on Itch.io' where players can talk to other players and create threads about games they are playing /purchased from Itch. It seems like we have a solid community here on Itch which is fantastic. But ultimately we develop games for players and itch serves games to players. The forum should focus on nurturing a community of players - certainly this is important for the growth of itch. Such a comprehensive peice. For this you have my follow. At a glance, the forum seems to be more for developers than gamers. Perhaps the Itch.io community is mostly developers, but I would like to see an active dialog between Devs and Players. Flash Develop for the win! Good luck with HaxePunk. I hear OpenFL is supporting consoles soon and I truly hope it works out well. I'd love to develop in Haxe again, but I'm still waiting for the tools and community to grow. HAha yeah I generally make my AS3 games with Flash Pro + Flash Develop for coding. In the case of Rearmed, I'm coding everything within Flash Pro on the timeline - fully classic! Rocking it like it's 2005. Early Access on Steam. My game isn't exactly suited for Early Access, it's a single player 2d platformer with a short Story Mode and an Endless Survival Mode. The types of games the succeed on Early Access tent to be FPS, Multiplayer, Sandbox games and Rouge-Likes. This is because they offer plenty of replay value. I've released tons of free games on Flash portals like Newgrounds.com, sometimes the launch went bad and I wished I could turn back time. By launching into Early Access, if anything goes wrong it's not the end of the world because you can launch again! I've learned SO MUCH by launching my first Steam title into EA, I'll be applying these lessons to my full launch. Building a community of fans is hard, especially if your game is a new IP AND if you have limited marketing resources. I now have a larger community of players and fans thanks to Early Access. Had I not gone into EA, I would now be facing launch WITHOUT that strengthened community. My game is Armed with Wings Rearmed - Samurai Limbo on Steroids! itch.io Community » Creativity & Art » 2D Art · Replied to Virtually Competent in Drawing / animating live? Post your channels here. Does anyone get much viewership doing art streams on Twitch? Wow so many people using different engines! Luxe is very interesting - I haven't looked into it... but I have developed in Haxe and OpenFL. Construct 2 and Game Maker are super awesome. I don't have much experience with these either. GameMaker I must say, super impressed with some of the games developed in it - Hyper Light Drifter... omg. I develop mainly in Flash (now renamed to Adobe Animate). I've been making Flash Games since 2005, and have my first title on Steam this year - Armed with Wings Rearmed. Rearmed is developed in Flash Pro 2015 targeting AIR Desktop. Flash is great to develop desktop games in, super quick, flexible and can be quite powerful . I've also worked in Unity, pretty standard stuff. I much prefer developing in Flash over Unity, I just wish Adobe supported as many targets as Unity does. It's a 2D hack 'n slash samurai game developed in Flash and AIR. It's like Smash Bros meets Limbo on samurai steroids! @schmevie Your game looks interesting - The title and music are really nice. What framework are you using?